Once gone from Texas, a few black bears have returned. Lions and tigers and … Texas black bears? Oh, My! The American black bear, Ursus americanus, is a medium-sized bear that has made a comeback in the mountainous areas of the Trans-Pecos region of West Texas. Expert tree climbers, black bears live in forested areas and will often seek refuge in trees when young; as adults, they feed in trees on acorns and build “bear nests” as they climb and eat. These omnivorous creatures also feed on insects, berries, apples, pine nuts, grass, roots and fish as well as small mammals. Beware: they also enjoy the occasional garbage can. Bears strip bark from trees in search of insects or juicy pulp, and often rub their bodies on the rough bark as well, leaving clear evidence of their presence. Adults can reach a length of 5 to 6 feet, a height of 2 to 3 feet at the shoulder and a weight of 80 to 400-plus pounds. Fur color can range from black to cinnamon brown; front claws are generally longer than hind claws. Black bears remain inactive for part of the winter and will often hole up at the base of a tree, under a rock shelf or in another protected area during these colder periods. Unlike the grizzly bear, which experiences true hibernation during wintertime, the American black bear’s temperature does not drop markedly, and it is possible for the black bear to wake up and become active during warmer times in midwinter before returning to their nests for sleep. Black bear breeding season occurs in June and July, with young being born in January or February. A female bear typically gives birth to two or three cubs every two years. The black bear, once widely distributed across the state, was considered extinct in Texas by the middle of the 20th century. By the mid-1990s, a small breeding black bear population re-established itself in the Chisos Mountains of Big Bend National Park, spilling over from Mexico. 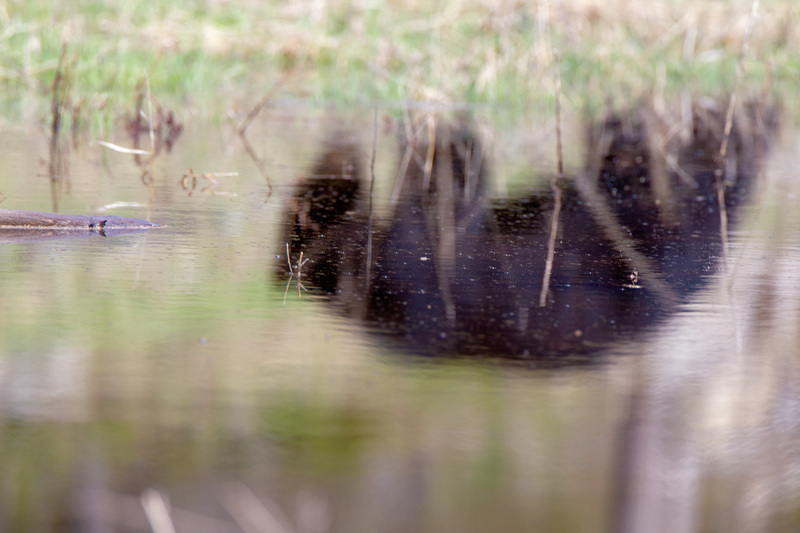 In East Texas, black bears are occasionally sighted and are most likely visitors from neighboring states. Despite their reputation, black bears will seldom approach people if spotted in the wild (but use caution). However, they can become a problem if they get a taste for human foods. Keeping pet foods, birdseed and trash secure is the best way to coexist with bears. The black bear is listed as threatened in Texas, and individuals are encouraged to report bear sightings.